Update: Poston Gardens officially closed for the tulip season on April 11. Visit their Facebook page for updates on the next season. 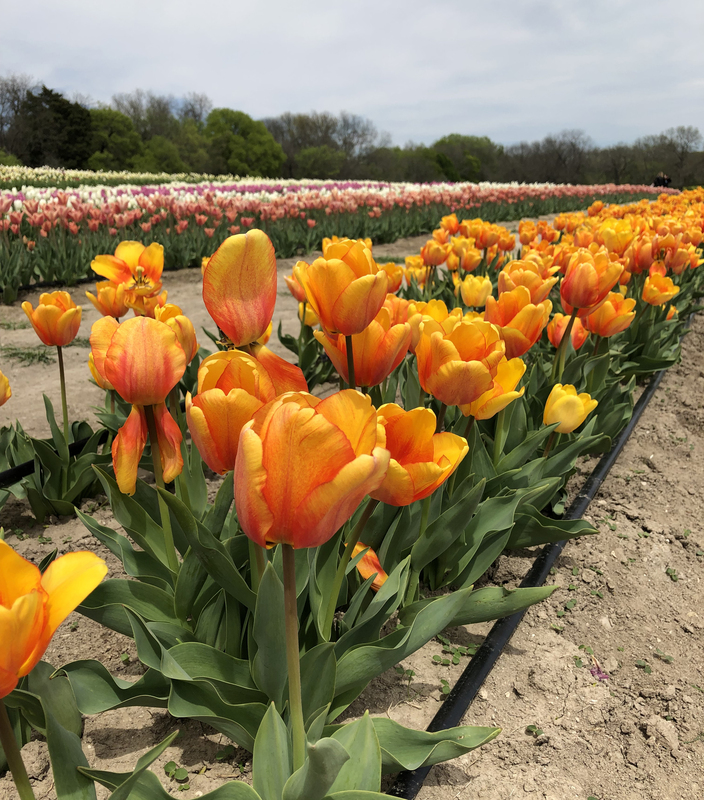 Springtime is officially here, which means some of our favorite pastimes are trending once again: farmers markets, arboretum visits and a classic––tulip picking. 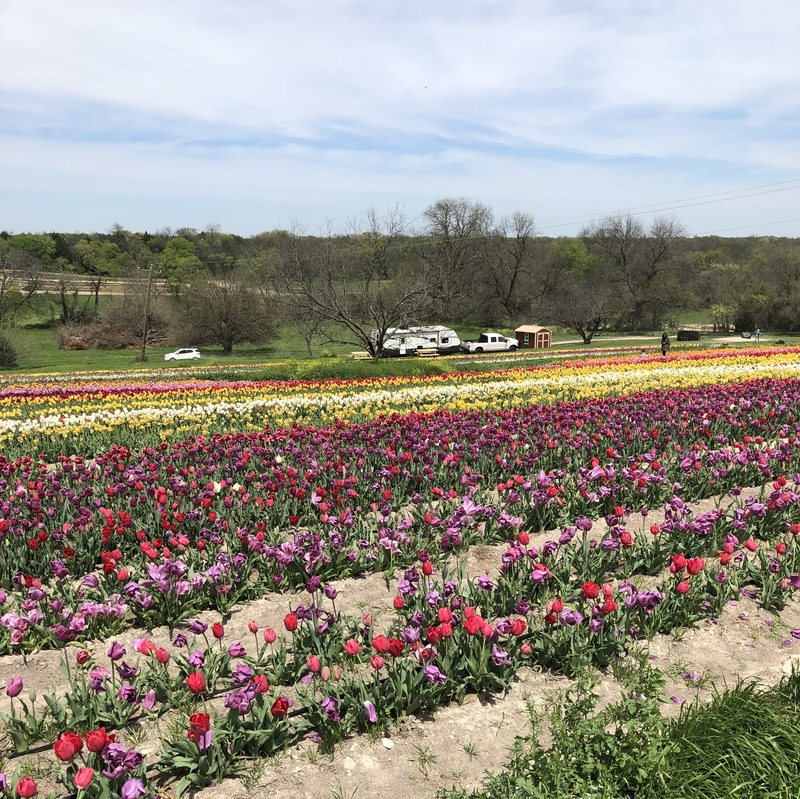 Drive about 30 minutes south of Dallas-Fort Worth toward Waxahachie and you will come across Poston Gardens, a colorful oasis of one million, yes, million, tulips imported from Holland. A ways away from the bustle of the city, you and the kids will be engrossed in a beautiful field of tulips of every color and shape you could imagine. But what makes this garden special is not the beauty upon the fields, rather the mission behind it. Founded by the president of Daymark Living (DL) John Poston, in collaboration with local Waxahachie and international Holland farmers, Poston Gardens’ objective is to help fund scholarships and provide jobs to residents (and hopefully, future residents) of Daymark Living a residential community for adults with intellectual and developmental delays (IDD) located just about a minute away from the gardens. (We recently wrote about Daymark Living in our November / December 2018 Thrive issue. Read how this community has had an impact on its families here). Daymark Living is helping the IDD community thrive, not only by providing a safe living space but also providing education, job training and overall personal development to its residents. A father of three, one of whom has Down syndrome, Michael, Poston hopes the tulip sales will bring in a profit, so in addition to providing jobs for residents of Daymark Living, they will also be able to fund scholarships for families who can’t afford it. “The mission behind this is to create jobs, create awareness for the IDD population, create awareness for Daymark Living––that’s why we’re here,” he shares. 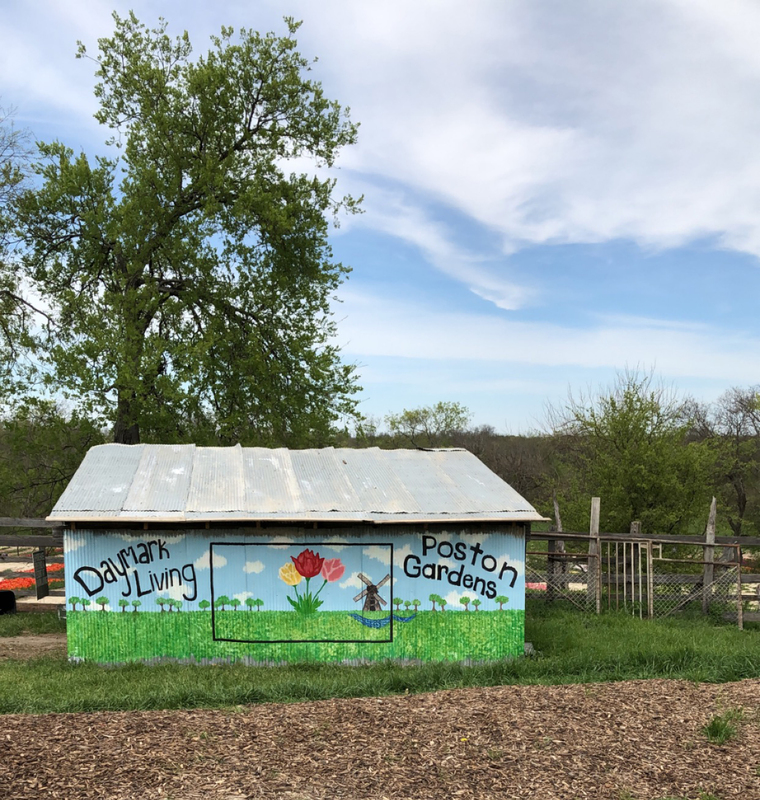 In its first year, Poston Gardens opened March 15 and, depending on the Texas weather, has plans to stay open until mid- to late-April. So far, the gardens have been all the rage in the community and North Texas; to date, about 10,000 people have paid the tulips a visit. Poston Gardens is located at 900 Cantrell Street, Waxahachie and open every day, from 10am–6pm. Admission is $10 for adults and $5 for kids 2 and older. Each tulip is $3, or opt for a bundle of 40 tulips for $30. Each sale helps fund Poston Gardens’ mission. We visited Poston Gardens on a windy Sunday. Here are a few tips and tricks if you’re planning on making the visit down with littles. Wear closed-toe shoes. The dirt-paved roads will not be forgiving to exposed toes. Get ready to walk. Poston Gardens is spread over three large gardens. If the kids are feeling restless after a while, stick to the two smaller gardens closer to the entrance. Beware of the dust. The area can get pretty dusty, particularly towards the parking areas. Bring a little hat or scarf if your kids might be sensitive to this. Bring your best selfie stance. The gardens are perfect for family photos. There is a cutesy wagon near the cashier’s station. Restrooms are onsite, near the cashier’s station on the right hand side (from the entrance). Be sure to visit the face painting station atop the hill (directly in front of the Instagram-approved selfie wagon). Be on the lookout for the hayride. Every so often, the truck will pass through making its way through the three fields. There are two parking lots on the premises. Arrive early for prime spots near the entrance.